Supporting business processes through knowledge management technologies is one of the key factors in the today’s industry. The former technologically related organizations now have to orient themselves to the business strategy of the company, which they must support with their offered IT services. IT processes has to become more transparent and better manageable. It is fundamental to visualize service prosperities to satisfy customer needs. 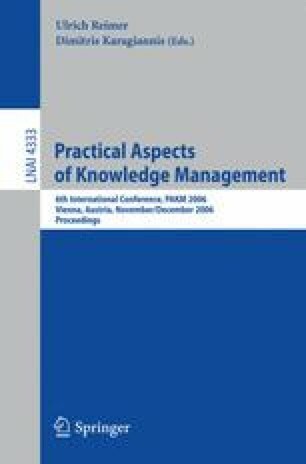 Different business processes and the potentials of supporting them need knowledge management measures. We illustrate the applicability and possibilities of IT service management and appropriate support services in business processes especial in the field of incident management requiring a novel feedback cycle and associated measures to assist such service support processes. A prototypical realization was implemented as manageable knowledge desk.